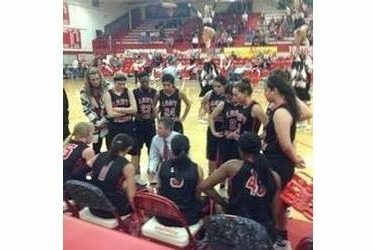 The Liberal girls had plenty to overcome Friday evening in Perryton. LHS did not bring their ‘A’ game to Texas and saw two starters foul out but won 48-46. They made 6-16 free throws on the road but won. They also overcame Perryton’s best player Addyson Mosely going off with 29 points. In the first half, there were 11 fouls against LHS and four against Perryton. LHS led early 10-3 and 15-11 after one quarter but the Rangerette roared back to lead 27-22 at the half. Perryton led 36-34 after three. LHS took a 46-43 lead when Ali Lucero drained a right wing three pointer. LHS took the lead when Diamond Bailey rebounded a miss and banked it in for the win. Carolina Limon drew a charge with 1.6 seconds left for an LHS stop and the ball. Jade Mickens scored 10 to lead LHS but fouled out. LHS was 6-16 at the line while Perryton was 16-31. LHS, who was 4-17 last season, is 3-2. They play Perryton January 5 in the Big House at 6 on 1270 and kscbnews.net. The Rangerettes are 10-8.